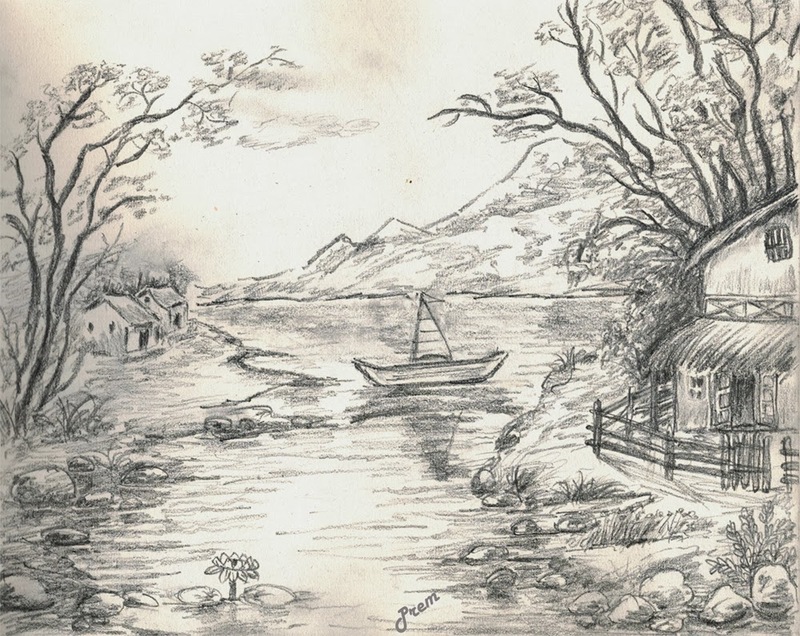 In this post, I am going to share a couple of landscape sketches and a sketch of a butterfly. The landscapes were drawn by referencing poster images which I had bought especially for this purpose. This is the first scene. This is the second scene. 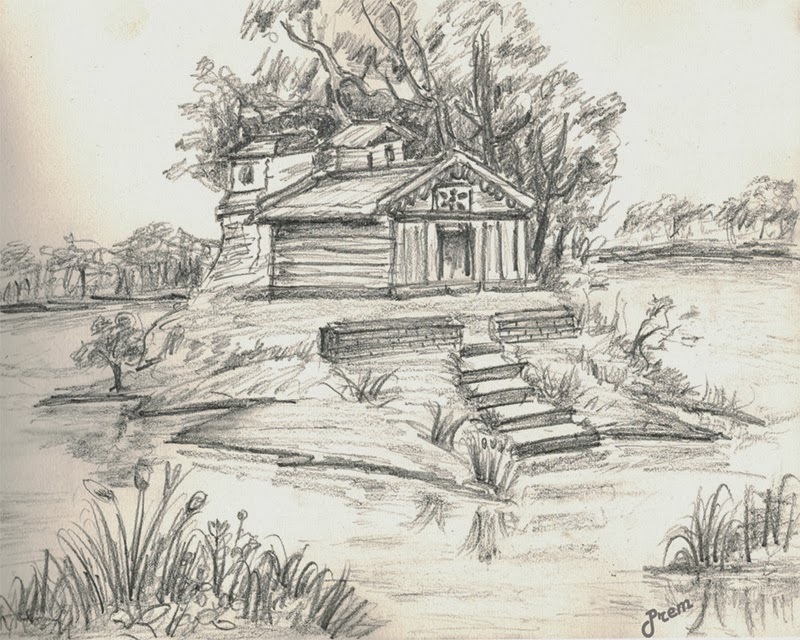 I had trouble sketching the water body in both of these sketches which makes me realize that I still need to practice a lot. 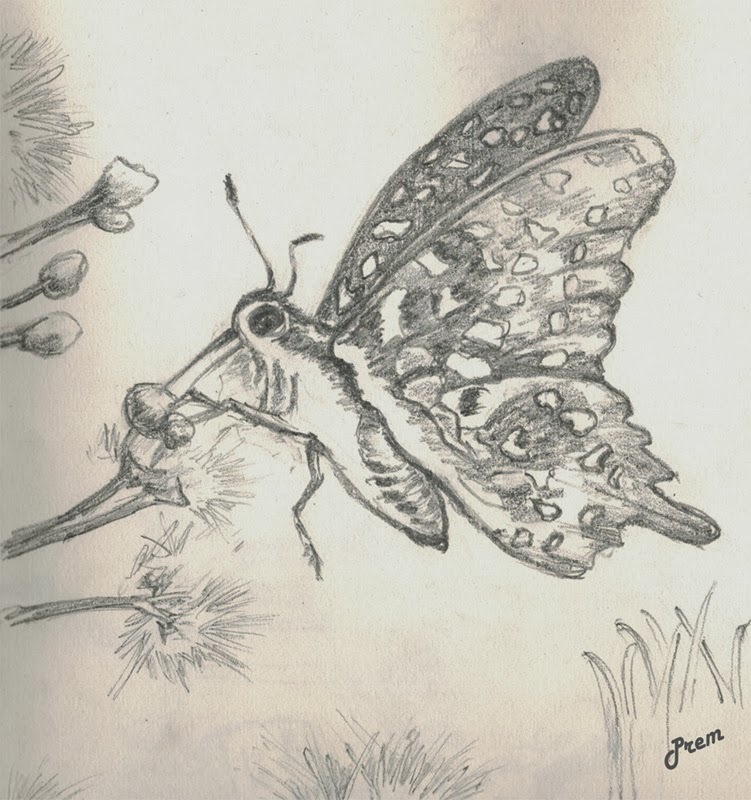 This is the sketch of butterfly which I drew by referencing a image from a newspaper. Hope to get your likes, +1, shares as wells as comments and feedback.